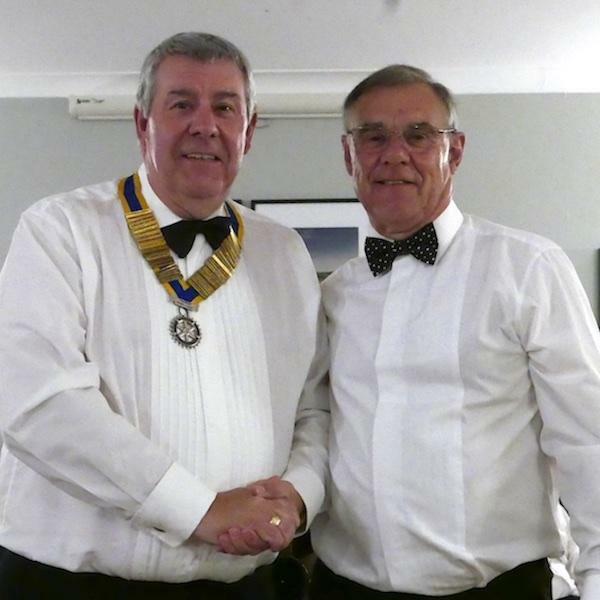 The club held a very successful Charter Night and Handover Night at South WInchester Golf Club. Incoming president Ed presented outgoing president Mike with a framed set of photos as a memento of his year. The opportunity was taken to present a cheque to the Stroke Association in aid of our Stroke Support Group which operates locally at the Velmore Centre in Chandlers Ford. Our President Elect for the incoming year received her ribbon from Ed. Musical entertainment was provided by two very talented young ladies. The combination of our Charter Celebration with the Presidential Handover worked well and may become the norm for the future.